August 29, 2014 k3fitLeave a Comment on Stayin’ Fit: Traveling Tips! Labor day weekend! The end of the summer blowout! well hopefully we still have plenty of good weather in store for us but it does mark the end of the summer for many kids and families geraing up to get back in the groove with school, after school activities and all of the madness that goes with that! Maybe you are traveling this year for labor day but you want to keep it healthy and not waste all of your hard work in the gym on eating a bunch of garbage food that will sabatoge your physique, well here are some traveling tips on how to stay on track even when you are away from home. Just because you are not in your daily routine away from home is no excuse to bing out or deny your body the movement that it was meant to do! Remember these tips can be applied to more than just Labor Day. Try them while on vacations, weekend get aways and work trips! Research the area where your hotel is ahead of time and try to find a natural foods store or a good grocery store where you can grab some snacks to have during the day. I usually just google “health food store” in whatever area I am in and make a stop so I have some go to snack options. Ideally a Whole Foods, Better Health Market or Trader Joes would be handy, they are larger chains with some really good options. If you have a mini fridge in the room that’s a huge bonus and you can get some fresh stuff and keep it cold. Or if you are in a place with a kitchen, make some meals and save some money and calories by cooking fresh! Protein powders can be a really good easy way to get a large amount of protein in a hurry on the go. You can bring the shaker bottle anywhere and just add water or any liquid you like. 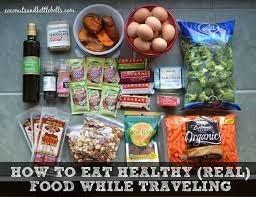 You can get individual packets or just buy a tub and make some little Ziploc bags with single servings for the road. Get a good protein that is free of artificial fillers and sweeteners. You get what you pay for with these so do your homework. Not all are created equal! Stay as active as possible, walk everywhere you possibly can. Bring some things that are light to travel with such as boxing gloves and pads, exercise bands. Even if you take 30 min to do a quick workout this is only like 2% of your day! Get it done in the morning and you have the whole day ahead of you to have fun. Keep alcoholic drinks to a minimum….meaning 1-2 per day. It is vacation but do you really want to drink away all your hard work? You have to ask yourself if it’s really worth it. Also when you drink alcohol your guard comes down and you make bad food choices way more easily, then you feel horrible the next day, which is never good. Stay hydrated with water, it helps with digestion and chances are if you are eating out at restaurants you are getting more sodium than you normally would at home which can cause a lot of bloating and dehydration. RELAX! Vacations don’t come around very often so make sure to take time for yourself and really disconnect from life. Your body and brain need it. When I go on vacation the first 2 hours of the day are “me time” I usually find a workout space and do my workout, get some breakfast and maybe just chill out by myself for awhile and take a walk or explore a new area. Roasted edamame. Kroger carries it in the natural foods section, low in sodium, high in protein. “Sea Point Farms” is the brand. Roasted chickpeas. Drain a can of chickpeas, lay them on a baking sheet and season with anything you like and a little of extra virgin olive oil. Bake 425 degrees 20-25 min until they get brown on the edges. Great as a snack or on salads. I like to put olive oil, lemon juice, cumin, cayenne, pepper. Mini sandwiches or whole grain wraps. Egg salad sandwiches or veggie wraps are excellent and filling. Happy traveling all! Feel free to share how you stay fit on the road! I love hearing! Previous Wacky Wednesday. Is Calorie Cutting Good?